The Armen Living Emerald contemporary end table is a beautiful addition to the modern household. 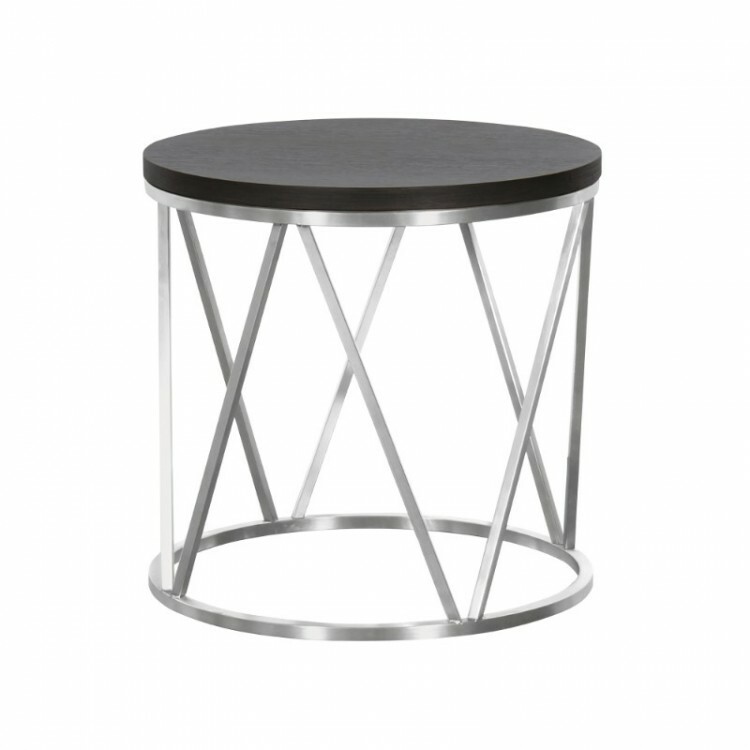 This elegant end table features a cylindrical brushed stainless steel finish frame design that is both durable and stylish. Though ideal for the living room, the versatility of the Emerald allows it to blend perfectly in just about any room of the house. 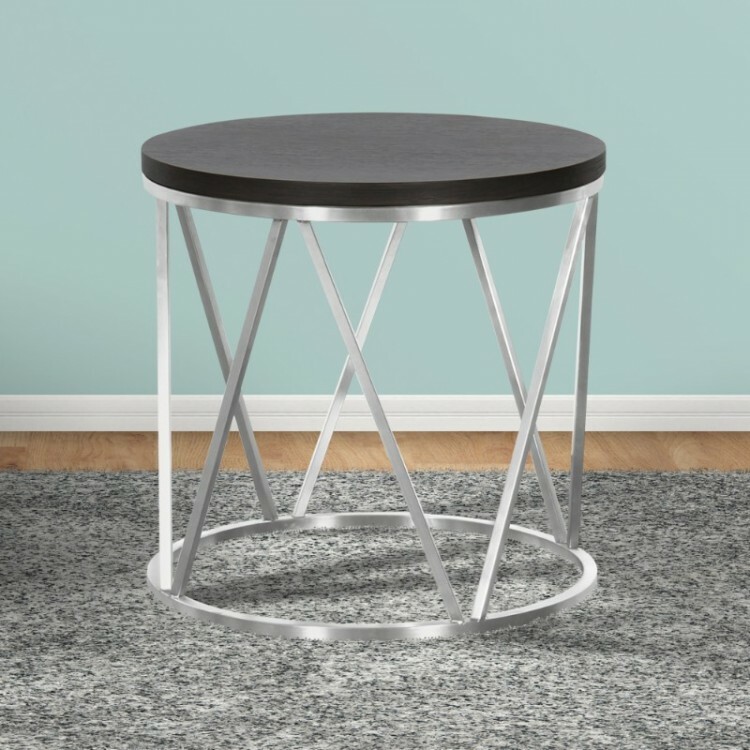 Pair the Emerald end table with the Emerald coffee table to add aesthetic harmony to your dwelling. The Emerald is available with your choice of a grey or black ash wood top.